For sometime I've been watching videos, reading books/articles and talking to folks about knife making and metal forging/tempering. One of my biggest setbacks to these projects was not having a forging furnace. Quite by chance, I came up with my own idea of how to make one that works for my beginners sized projects. Here it is. I'll give you a hint as to what's required. You'll need a drill, a paddle bit, a bit of kindling, matches or lighter of some sort, and an air source (You can even use the same drill that you drill the holes with. Use it with caution though. ), some metal to work, and an idea. There you go! 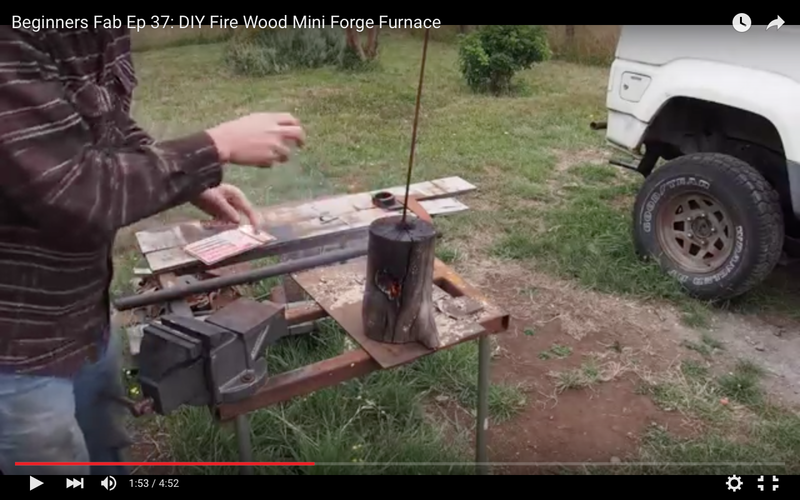 You've got yourself a simple diy metal working forging furnace. While I found this concept to be very practical, I would like to mention that hot embers do have a tendency to fly out of the log. This can create serious burn injury, or fire starting potentials. Using a log such as this, can also tip over easily. Especially as it starts to burn out the inside and the overhanging metal starts to counterbalance the log. So, NEVER LEAVE A FORGE FURNACE LOG UNATTENDED! NEVER!!!!! Also, make sure to have close access to fire prevention devices. 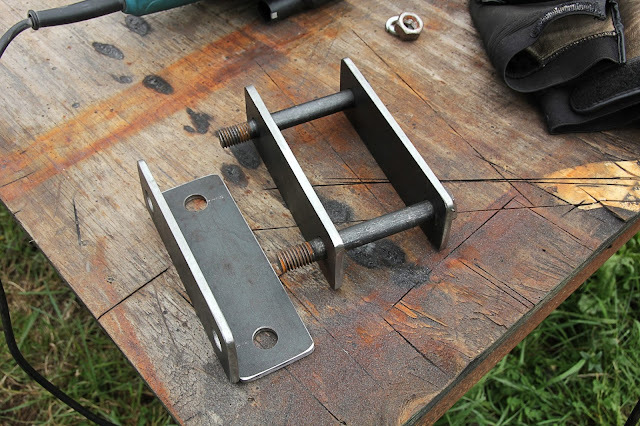 If you are using this forge with hardening or tempering processes, remember that oils aren't easily extinguisher, and water is NEVER to be poured on them. Make sure and have fire smothering blankets, the appropriate kind of fire extinguisher, or other on hand when working with these processes.